Home / 30 Day Horror Challenge Meme / Movie Related / Writing / 30-Day Horror Challenge – Day 05 – What Goes Bump? 30-Day Horror Challenge – Day 05 – What Goes Bump? This may be “controversial” because it isn’t a typical monster film, but those giant bugs, and everything else residing inside that mist, are about as monstrous as it gets in my eyes. When I heard that Darabont (director of one of my favorite films ever, The Shawkshank Redemption) was directing a Stephen King adaptation, I had high hopes. When I finally got to see the movie, I was anything but disappointed. The ending is a bit heavy-handed, but it worked for me. The acting performance by Marcia Gay Harden, as the religious zealot, is stirring, to say the least, and enough to warrant the film a spot in this 30-day list. 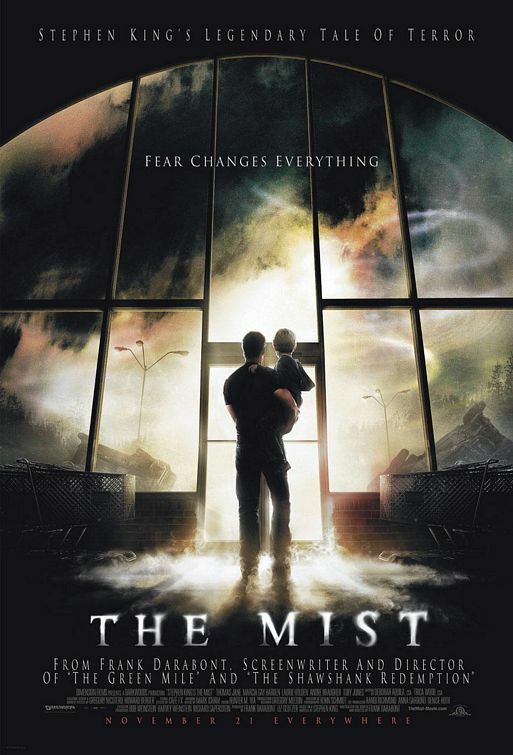 As a person who gets scared by the average, tiny bug, The Mist did an excellent job playing to my fears, and scared the hell out of me.